Canadian winters are no joke. It’s cold, dark, snowy…and underneath all that, there’s most likely black ice. Using data from CurrentResults.com, we have compiled a list of the coldest major Canadian cities (“major cities” refers to places that have at least 100,000 residents). 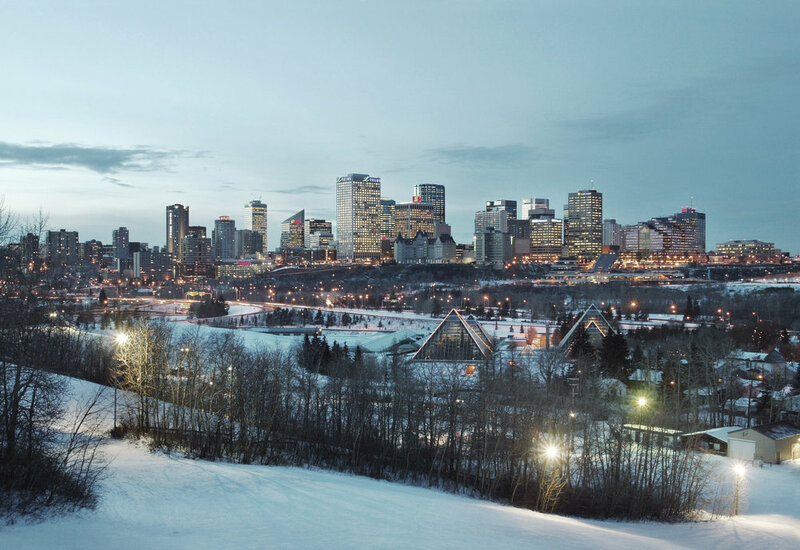 Throughout the winter months, Edmonton has an average temperature low of around -13°. Edmonton is notorious for its dry prairie climate - complete with ice, snow, and bitter winds. Also, the city gets an annual snowfall average of 339cm. Edmonton has snow on the ground for over four months of the year - an average of 133 days. Located just 129km south-west of Quebec City, Trois-Rivières has an average low of -14°, with an annual average of 259cm of snow. It has a humid continental climate, which means that there are drastic temperature changes from summer to winter. This distinction means there are warm summers and bitterly long, cold winters. Quebec City has an average low of -15.4° in the wintertime. Quebec City has one of the highest snowfall averages, at 303.4cm. Albeit snowy and cold, Quebec City has a lot of fun activities to keep the winters bearable, like the classic Quebec Winter Carnival, where people come from all over the world to partake in the festivities. Sherbrooke, located 156km east of Montreal, has an average temperature low of -15.4°. 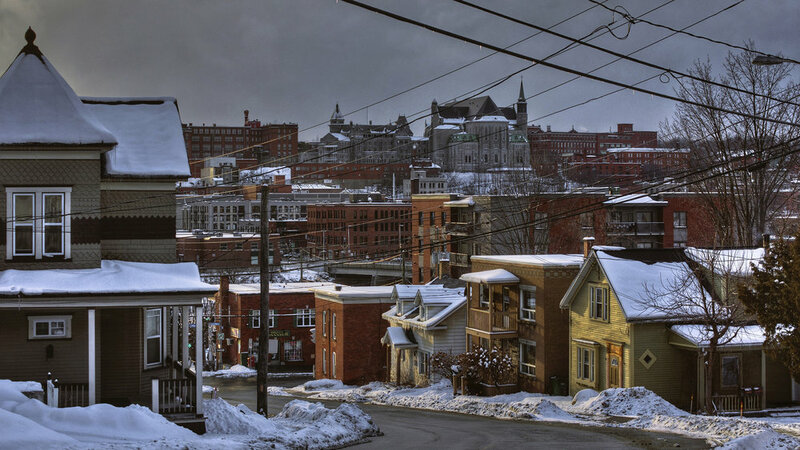 Sherbrooke also has a humid continental climate, resulting in long, snow-filled winters. In fact, Sherbrooke gets about 286.5cm of snow annually. 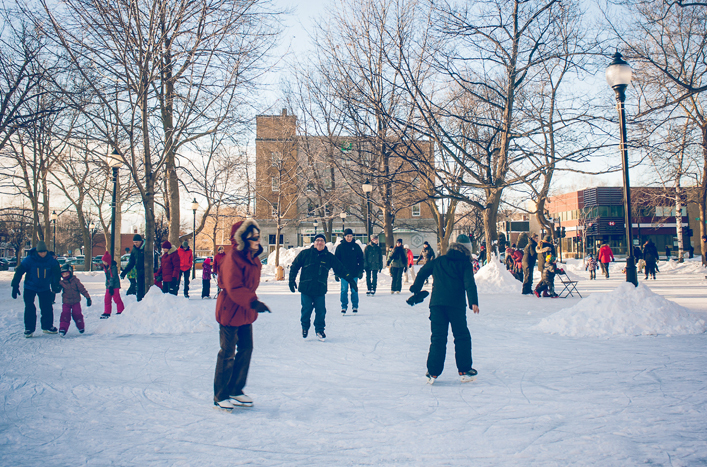 With the surrounding nature and snowy habitat, residents and tourists can take advantage of the abundance of outdoor activities available - skating, skiing, snowshoeing, and snowmobiling. Is it any surprise to any of us that Sudbury is on this list? Sudbury averages at a low of about -15.5° during the winter months, and gets an average of 263.4cm of snowfall each year. Sudbury is located north of the Great Lakes, putting it in the path of arctic air masses - contributing to brutal cold snaps. In fact, Sudbury just dealt with an arctic air mass that travelled from the Northwest Territories last week. Sudbury has snow on the ground for an average of 136 days of the year. In the winter time, Saskatoon has an average low of -16.5°. Snow is on the ground 124 days of the year. Saskatonians often spend their winters walking or cross-country skiing on the many snowy trails, skating, and admiring the beautiful, frosty South Saskatchewan River. 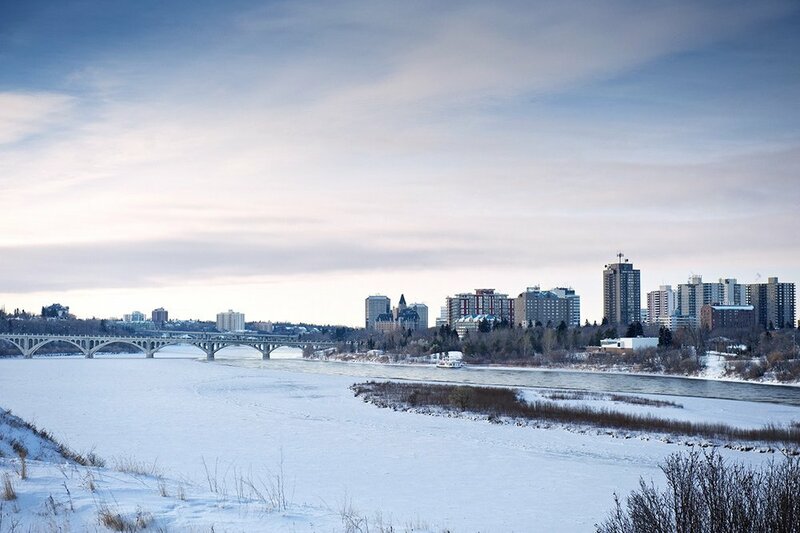 The lowest temperature ever recorded in Saskatoon was in 1893, at -50°! 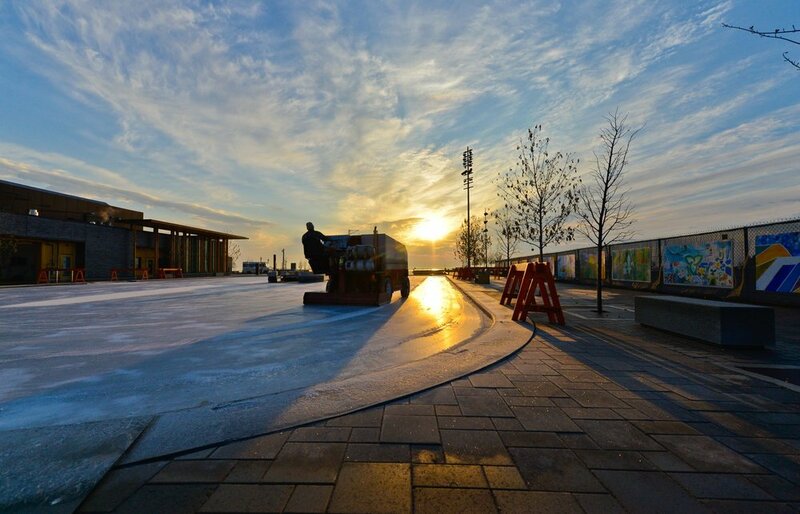 Thunder Bay is located over 1,000km northwest of Sudbury, with a metropolitan population of 121,621. During the winter months, it averages at a low of -18.1°. Thunder Bay holds the record for Ontario’s coldest day (with windchill) - on January 10 1982, the temperature dropped to -58°. CBC wrote an article stating that the winter of 2013 - 14 was the coldest Thunder Bay had seen in 35 years. According to the article, there were 61 days where the temperature dropped below -20°. One of those chilly days broke the December low temperature record for Thunder Bay, at -40°! The prairies have some tough winters! Regina is 258km south of Saskatoon. The residents of the capital of Saskatchewan know all too well the gruelling, frosty winds and heavy snow that come with the arrival of winter each year. It has an average wintertime low of -18.2°, with 11 nights that drop below -30°. On January 1 1885, Regina’s temperature hit a shocking low of -50°. This is the 21st coldest day in Canada ever recorded. On average, there are 43 days where it feels like -30° or colder! Saguenay, just 211km north of Quebec City, falls at an average of -18.3° each winter. It gets an average of 321.7cm of snow each winter! That’s the second biggest snowy city in Canada, right after St. John’s, Newfoundland. Dog-sledding has a big role in Saguenay winters - residents refer to these adventures as a part of the Nordic lifestyle, where you can zip through the boreal forest with your team of dogs, looking out for elk and other wildlife. Well, we’ve made it to Canada’s #1 coldest major city. Winnipeg reaches an average low of -19.2° every winter, with 12 days when the temperature drops below -30°. It sits right at the bottom of the Red River Valley, leaving it susceptible to fast, strong winds. The climate is also typically very dry in Winnipeg, and many residents reportedly have to use humidifiers in their homes. In December of 2013, CBC wrote an article proclaiming that Winnipeg was as cold as the temperature on Mars - which was -29° at the time. The snow in Winnipeg doesn’t fall as heavily as it does in other major Canadian cities. But the blustering winds arrive right on time, every year.